Join Charles Price as he explores the topic of vision and examines how Christians should respond when God speaks. 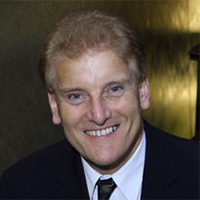 Charles Price has been the Senior Pastor of The Peoples Church in Toronto, Ontario, Canada since September 2001, with a weekly congregation of 3500 people. He has a weekly hour-long television programme, Living Truth, which is broadcast coast to coast in Canada each week, as well as in the United Kingdom, Europe, India, Australia, New Zealand, Indonesia, Korea and Japan. In 1975, Charles became a field representative of the Capernwray Missionary Fellowship of Torchbearers, based at Capernwray Hall, Lancashire, England. This responsibility involved an itinerant ministry of evangelism and Bible teaching for approximately half of the year, the rest of the time being spent at Capernwray Hall. Charles taught in the year-long bible school, and for fifteen years led the summer conference program from June to September each year. He has preached in over 75 countries on 5 continents around the World and is the author of 7 books, some of which have been translated into German, Dutch, French, Spanish, Italian, Portuguese, Hindi, Malayalam, Farsi, Korean and Latvian. Charles has been married to Hilary since 1980. They have three children: Hannah, Laura and Matthew.